The common jewelbug has taken a somewhat strange evolutionary path. For defense against predators, it has developed a large, jewel-like exoskeleton. 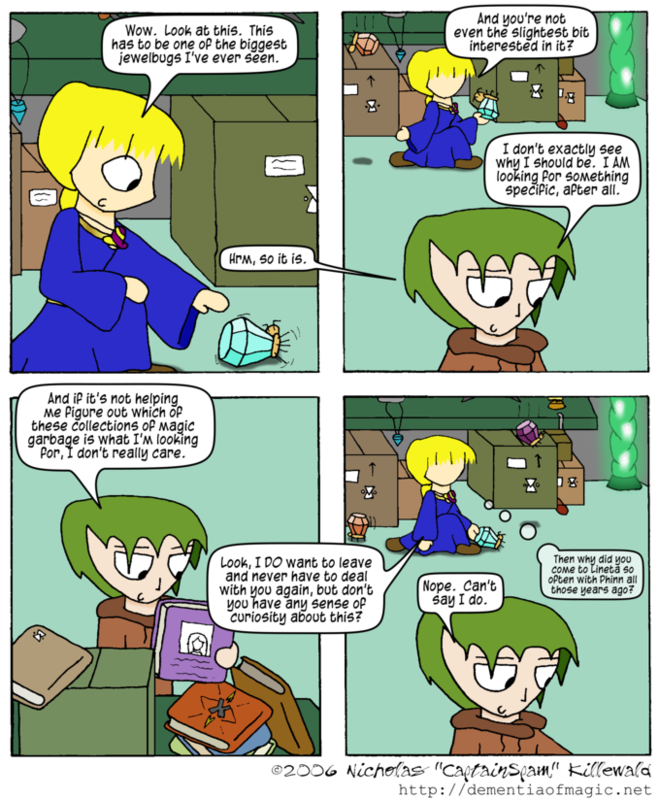 Shown in this comic is just one example of the shapes it can take. While generally stronger than the exoskeletons of most other insects, it is nowhere near as strong as the actual jewels they look like. Additionally, they usually don't get as big as the one Alex is holding. The jewel-like appearance also helps them blend in with actual jewels. Exactly why is unclear; while it can be easy to mistake a jewelbug for an actual jewel at first glance, the ruse doesn't last very long, and the exoskeleton, while considerably stronger than that of other common insects, is no match for the foot of a common person angered by the fact that he or she just wasted time and excitement grabbing a worthless bug.